I’m not saying I’ve made a kale lover out of everybody, but...I’ve made a kale lover out of everybody I’ve served kale to. Okay, at least a kale liker. 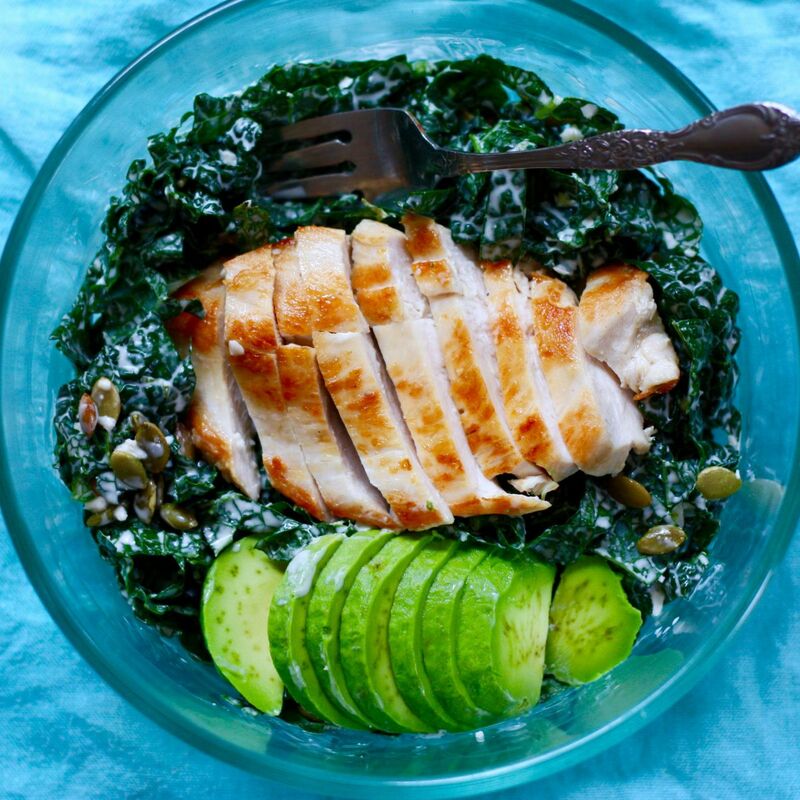 Because it turns out that the cooked flavor is what lots of people might not love about kale – and if you serve it as a zippily dressed raw salad, then you eliminate that problem! Make a big batch for the work week, and you will thank yourself when the lunch hour rolls around. The basic kale salad is great on its own – tart and creamy and fragrant with lime zest – and it keeps for 4 days or so in the fridge. 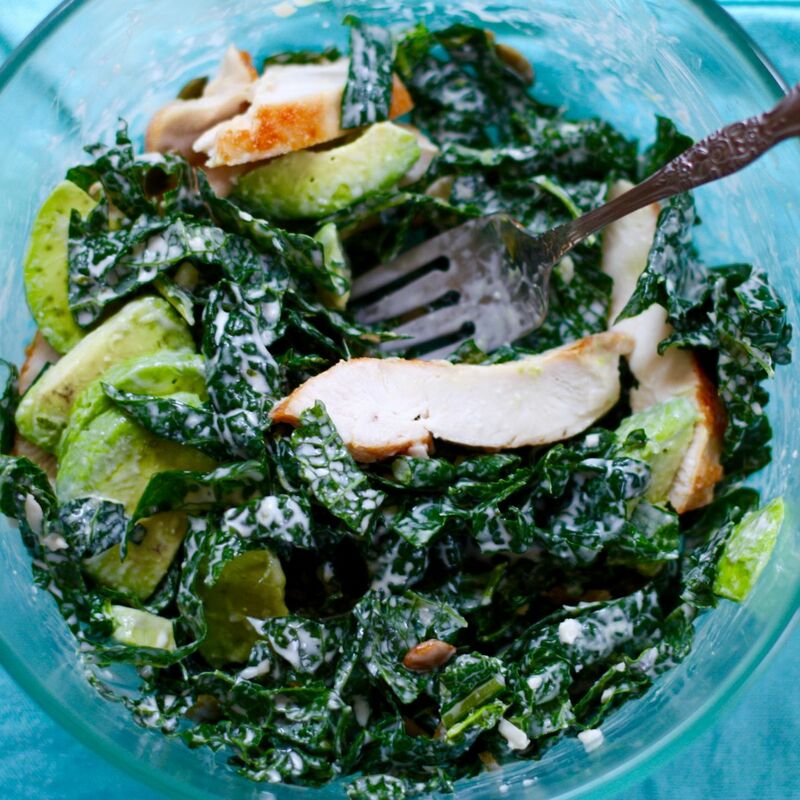 To turn it into a complete meal, simply add avocado, sliced chicken, shredded cheese, and toasted pumpkin seeds. Protein, crunch, and creaminess mean a perfect, balanced lunch. Please note: I like the all-green of this version, but you can totally add red onions or radishes or peppers if you want an extra pop of color. Prepare the kale by stripping the ruffly leaves off the kale's stems (if unsure how to do this, see this video). Stack and bunch the leaves together, then use a large, very sharp knife to sliver them as fine as you can. Put the slivered kale in a large bowl. Add half the dressing to the kale, toss it very well, and taste a leaf. If it needs more dressing, add it and toss again. (It should actually taste a tiny bit overdressed, because it will be dressing the chicken and avocado when you add them later.) The salad will keep, covered and refrigerated, for up to 4 days.